The Reds Report presented by Chris Mason and Carlo Van De Watering has been airing in one format or another for the past four years. After one-and-a-half seasons airing the show in podcast version for the club, Chris and Carlo joined the Vibe in July with the opportunity to present the show live on air. Previously Chris and Carlo produced and presented the show for We Are Barnsley Radio as well as YMCA Radio Barnsley and Dearne FM. As lifelong fans, Chris and Carlo offer the fan’s view on life on and off the pitch at Barnsley FC. Player interviews, ex-player stories plus reviews and previews, Twitter polls and regular fan interaction are the main ingredients of the 60minute show. 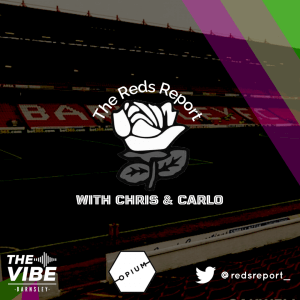 The Reds Report airs every Wednesday at 5.00pm on The Vibe.